Click HERE to view the survey results and feedback from the survey. 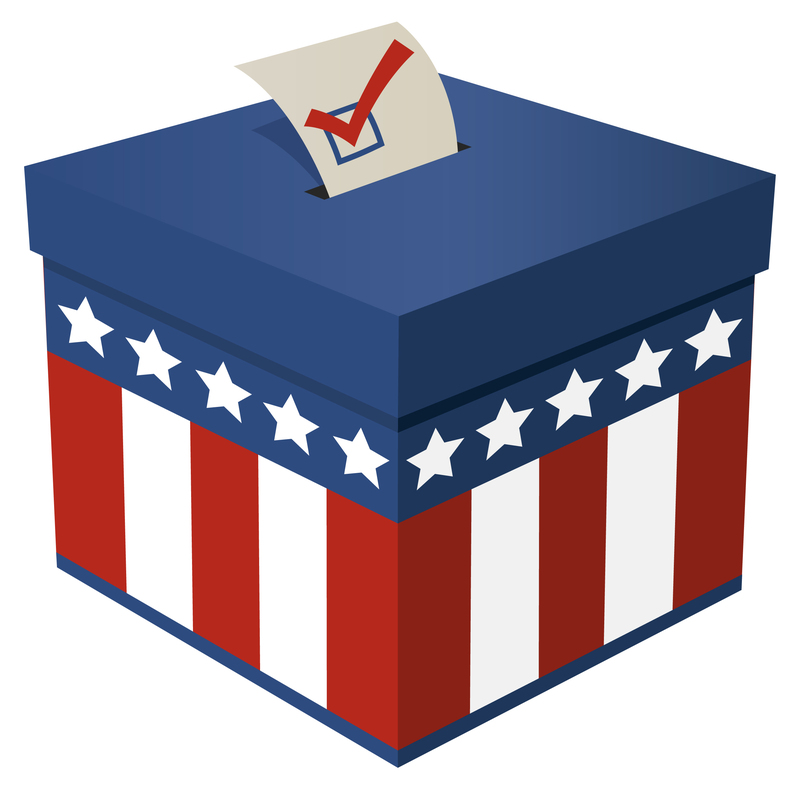 The remaining numbered items are a list of additional comments from the surveys. I wanted to make sure your voices were heard and posted. Please be advised that some of these issues are not contract related and need to be handled in another form. I thank everyone for their input. Increase life insurance (Term Policy). Availability to cash in hours 80 sick leave in December. When donating time to others who are sick, sick time should be used not annual or holiday leave. Increase annual leave benefit by 40 hours after 20 years of service. Don’t lose overtime hours, due to on duty injuries resulting in workman’s comp hours or no work or light duty status. Add workout time into work schedule. Don’t agree to agility test. Saturday as the alternate day so everyone has part of two weekends a month. Training is for one week straight not broken up. Overtime for training Alpha Shift. Sell time before losing it over the cap. Increase sick leave, post retirement buy out. Equal gas fees for all employees. No increased payment for employees to keep health benefits. This will offset any raise. Restore Corporal position/career development for rank and file. Ability to choose your district annually. Buy back time, sick and annual. A COLA is not a raise. Stipend given for not using BSO insurance. A vest that would allow us to carry some of the tools in our gun belt. This is convenient for health reasons and even safety; we could carry first aid emergency tools there: Tourniquet, etc. Salary contingency if Gov. Scott takes more than 3%. The additional cut should come back to us since that money is already allotted. Make the 12 hour shift a contractual agreement. Look at Palm Beach Sheriff’s Office take home vehicle policy. The Membership should vote on the Executive Board Officer. Marked Emergency vehicles should be permitted in HOV lanes where they are both a deterrent and can safely assist stranded motorists. If the union and agency would take a common sense stand to support amending current legislation something may get accomplished. Please support change in Sgt.’s test requirement from 5 years of BSO experience to 5 years total enforcement experience. Additional language that would prohibit ties. That is additional points for years of experience, education, etc. Make specialized units a permanent position. Not one that can be taken at the whim of the command. Use of cars in Palm Beach County. Sworn positions for deputies injured in the line of duty and are unable to obtain a disability pension, and are unable to go back to the road. Don’t force deputies to leave or take a demotion. PBA should have representation for deputies injured in the line of duty just like you do for deputies involved in shootings and I. A. Why don’t we ever focus more on Post-Retirement Health Account, it’s our biggest monthly bill at retirement! Increase the funding for the college tuition and book fund. Compensation for specialized unit supervisor, (e.g. CI Sgt.’s) answering calls and dispatching detectives off duty. Fund Allocation to reduce dues responsible by covered employees if possible. Additional pay to the new unit, the Quick Response Field Force which is in the developing stage and will be a test for this unit. We will now move forward in setting up contract negotiations with the Sheriff’s personnel and keep you updated. As always it is an open forum and you are able to attended and watch the process. 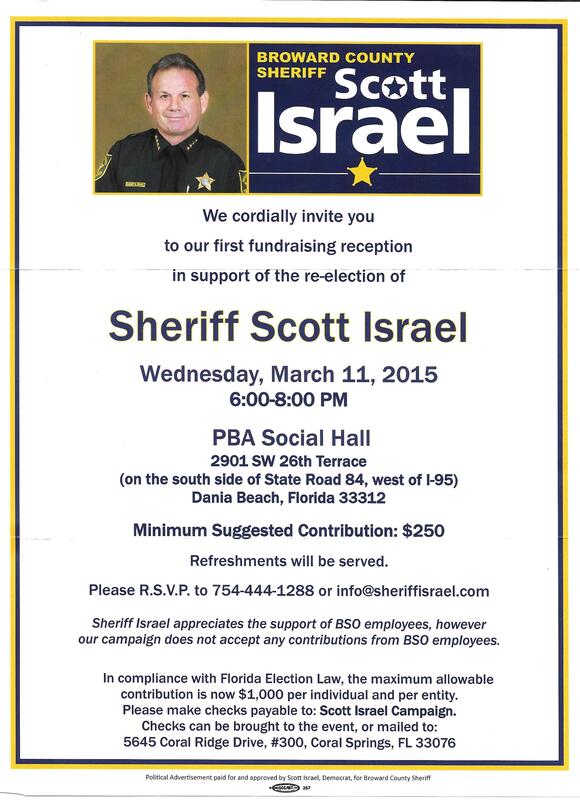 BCPBA has begun negotiations with the Broward Sheriff’s Office on behalf of Lieutenants and Deputies and Sergeants. Relevant documents are listed below. Members from any of the above units should call the BCPBA office with the name of the person they wish to nominate and a contact phone number for that person. The BCPBA will verify that the individual being nominated accepts the nomination before being entered into the nomination pool. 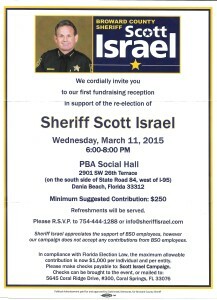 You are invited to the first fundraising reception in support of the re-election of Sheriff Scott Israel. See flyer for suggested contribution and compliance language.